Using a golf cart to get around, whether it is on an actual golf course or within a small development, is a convenient way to travel. However, driving these small, open vehicles can be dangerous if they are not handled properly or driven in restricted areas. When golf cart accidents occur, and injuries result, property owners and business owners may face the prospect of legal action. 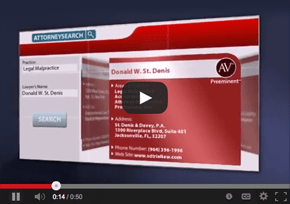 The premises liability attorneys at St. Denis & Davey P.A. help clients in Jacksonville, Tampa, Miami and throughout Florida defend against these lawsuits. Our Miami and Jacksonville golf cart liability lawyers strive for a prompt resolution to these claims whenever possible. Many people associate driving golf carts with getting around large courses. While that is still common, they are getting much more popular as a method of transportation around apartment and condominium developments or retirement communities. With increasing popularity, there is also an increased risk of accidents. Every year, approximately 15,000 golf cart accidents occur, with 13,000 of those leading to injuries. These vehicles are not required to comply with Federal Motor Vehicle Safety requirements, and therefore they may not have suitable safety features that would prevent more serious harm if they are involved in an accident. In addition, there are not many regulations regarding who may operate a golf cart, making them an attractive option for young, inexperienced drivers. All these factors make establishing liability for accidents complicated, since careless individuals may cause significant harm to themselves and others on the premises, as well as property damage. It is important to discuss your situation with a golf cart liability attorney in Jacksonville or Miami who can thoroughly protect your interests. Accidents involving golf carts can lead to premises liability claims against a property owner, including entities that own a course as well as homeowners’ or condominium associations. Since all property owners and occupiers have a legal duty to maintain a reasonably safe premises, any incident that occurs on their land may result in legal action. However, invitees and licensees are also responsible for exercising their own due care. Establishing that a golf cart driver acted negligently in operating the vehicle, and thus contributed to his or her own injuries, may be a successful defense to many claims against a property owner. In addition, proving that a course or road in a community is regularly inspected and that hazards are eliminated upon discovery may also defeat or forestall a lawsuit. The skilled property lawyers at St. Denis & Davey P.A. advocate for property owners in Jacksonville, Tampa, Miami, and other Florida cities that are facing premises liability claims. Our firm represents homeowners’ associations, apartment and condominium complexes, retirement communities, supermarkets, restaurants, hotels, and other property owners that need assistance in protecting themselves. We offer dedicated defense representation from settlement discussions through all necessary phases of litigation, including discovery and appeals. 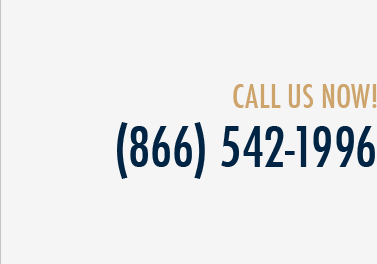 You can call us at (800) 785-2153 or (800) 775-8571 or contact us online to discuss your case with a Miami or Jacksonville golf cart liability attorney.